There’s no place like home. For not only is it a sanctuary, but statistically it’s where people spend the vast majority of their time. It only makes sense then, to make sure it’s as healthy as can be. It’s not as complicated as you may think either, it’s really just a matter of going back to basics, using simple and more natural products, and replacing or removing certain materials, chemicals and unnecessary belongings. Did you know: The air inside the average persons home is said to be 2 – 5x more polluted than outside air, even in most cities. This is because the chemicals that create our household products, furniture and clutter don’t stay solely inside the container or object, they also get released into the air, attach to dust particles, transfer onto our hands and get leached into our food and drinks. There’s no reason to re-evaluate every purchase you’ve ever made, or frantically take to google to see if your home is a safe environment, these are tips simply to bare in mind when deciding what products you want to use moving forward. By changing a few things you can improve the overall wellbeing of you and your loved ones. All it takes is some clearing out the clutter, and transferring over to different products and materials. It doesn’t have to happen all at once, you can start by eliminating certain things and replacing them gradually. Use reusable stainless steel water bottles in place of plastic. They’re light to carry, and won’t break or contaminate your water the way plastic water bottles will. Store food in stainless steel or glass containers. Plastic containers leach chemicals into foods via heat and everyday wear and tear. If you don’t want to part with all your plastic tupperware just yet, at least avoid fatty foods and hot foods. Invest in a good water filter. It’s convenient, healthier than drinking bottled or straight tap water and reduces waste dramatically, which is splendid for both your home and the environment! Most home pollution is down to the harsh chemicals in cleaning products. See where you can cut down and simplify. Remember, product labels aren’t required to disclose all ingredients and potential health threats, and most are highly toxic. So fight pollution with baking soda! It absorbs odours, dissolves stains and acts as a scouring agent. Use in the bathrooms and kitchen by sprinkling onto sinks, toilets, bathtubs, showers and stovetops before wiping or scrubbing. The only bathroom cleaner you’ll ever really need is white vinegar. It can replace practically every cleaning product available on the market and wins in the efficiency and health department. It’s an incredible ages-old cleaning solution which is 100% natural and healthy for the environment. 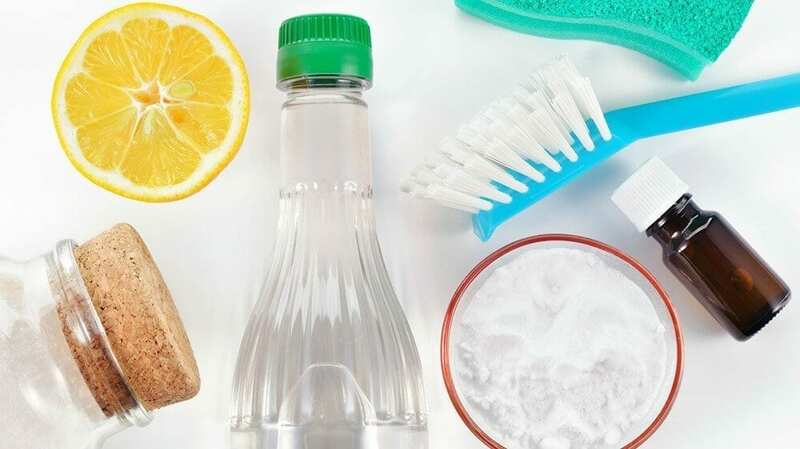 White vinegar neutralises odours, kills bacteria and mould, dissolves tough grime and soap scum and can even clean glass. Simply dilute 50% white vinegar with 50% tap water in a spritz bottle. Use green plants as natural air purifiers – they are the best anti pollution agents you’ll find! 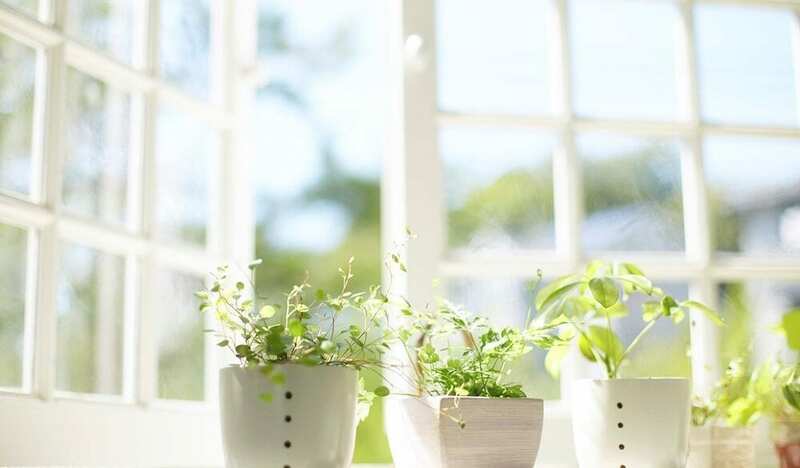 Last year on our blog spot we posted the Top 7 Easiest to Care for Indoor Plants fit for the task of scrubbing your household air. Check it out here. Always leave your shoes at the door! This is a practice used religiously in many different cultures across the world today, which has also been the way of life in many households and structures for thousands of years. And for good reason. Your outdoor shoes can transfer harmful bacteria, pesticides, lead, and general pollution that you don’t want attaching to the fibres in your carpets or spread across your living space. Have slippers handy at the entrance to your home for both yourself and guests. Ventilation is key. Keep windows or doors open as much as possible when weather permits. Stay far away from chemical air fresheners and use fresh flowers or bowls of herbs like dried lavender, rosemary and sage instead. Air ducts can harbour lots of pollution! Grime, harmful mould spores and other pollutants collect in the ducts. Have you air ducts and vents cleaned professionally at least once a year. Avoid stain-guarded clothing, carpets and furniture, as they contain PFC’s (Perfluorinated Chemicals). This is a term that some scientists use to refer to the group of toxic chemicals that includes PFOA and PFOS and other polyfluoroalkyl substances (PFASs). Similarly, wrinkle free and permanent press fabrics commonly contain formaldehyde, which is a gas that can produce ill-feeling symptoms. When it comes to bed sheets and the clothes you wear on a regular basis, it’s always best to go with natural, untreated fabrics. Use essential oils to keep laundry fresh, replacing harsh detergents with more natural fragrance-free ones, or Castile soap. Add a few drops of your favourite essential oils to each laundry load for an antimicrobial, unbeatable fresh result. It’s good for both your laundry and your machine! Once a month, put your towels through a baking soda and white vinegar cycle. The vinegar and baking soda work to remove detergent, microbe and odour build-up, and improve fibre absorbency. The result is spa-quality fluffy towels that smell as fresh as a spring field! Simply add one cup of white vinegar to the load and run the wash through a hot cycle. When the cycle’s done, add half a cup of baking soda and run the hot cycle again. Preferably dry in a tumble dryer to fluff up the fibres. Enrol with us for your qualification in Aromatherapy and master the making of Holistic Skincare Products! Reach for nature’s greatest gift with our internationally accredited Aromatherapy Course spanning 12 lessons of self-study or tutored guidance. Find out the many ways in which affects us physically and mentally, and how you can implement this information practically to help others. Learn how to use them in a treatment session with massage techniques. Learn to make your own Holistic Skincare Products with all the best natural ingredients. Upon completion of this course you’ll be able to design, create, tailor, package and distribute your very own homemade goods. This course covers it all, from equipment and food additives to labelling and legislation. Our learning establishment prides itself in providing unique holistic education that’s easily accessible and affordable. Every course comes with internationally-recognised diplomas that entitle you to practice as a therapist anywhere in the world. If you’d like a schooling experience with no stress, no commute, no deadlines, no fuss and great value for money, then you’re in the right place!